Anyone working there? I'm finishing up an ADN in Miami and am interested in relocating to Detroit after licensing. I'm a Canadian citizen and want to be closer to home, as well Wayne State offers in-state tuition to Canadians. Can anyone offer advice/info? 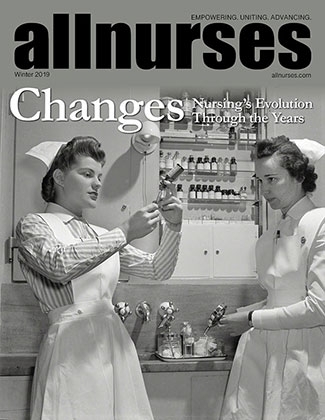 Does HFH look at out-of-state ADN RNs? I read in a 2012 thread that they have an RN-BSN program? Is that still in effect and if so how does that work? What is the work environment like? Nurse to patient ratios? I'm ultimately interested in getting in to ER. I've done my all my clinicals at the county hospital in Miami and the patient diversity really appeals to me, i'm assuming I would experience something similiar at HFH? Anyone? Bueller? I'd love to hear from anyone at Beaumont, DRH, Sinai Grace as well. ZooMommyRN has 9 years experience and works as a Mom/Wife/RN. Unless things have changed, take the NCLEX for MI if you are moving for sure, my first license was a FL license and I was unable to transfer it during my initial period, after renewal I was eligible. I ended up leaving FL for MI as well 5yrs later and had no trouble transferring my license. There are a ton of Canadian nurses working at HFH Main. Literally 30%. Yes they have an adn to bsn. They paid for university of Detroit mercy's adn to bsn program. Michigan license is really easy to get and quick this time of year. Not a compact state. HFH is level 1/ transplant/ teaching hospital. Absolutely top notch. Very nursing friendly. Went live with EPIC a year ago. Not a ton of jobs but enough. HFH Wyandotte is another possibility if coming from Canada. Not as exciting, they ship all serious patients to Main. Thanks for the info! wow i didn't realize how many canadians were working there. thanks again. what is EPIC? Epic is an emr. Only been using it a year. If you like trauma and intense patients then DRH and HFH are the two. Beaumont is level 1 also but more suburban. They don't call the ED at DRH the gun and knife show for nothing. One of the best trauma hospitals in the country and one of the best burn units. Get a lot of cases that get shipped in from other facilities. Both are highly Medicaid funded. Sounds like you would really enjoy working at HFH or DRH. Both are great places to learn. Excellent thank you! I'm going on a medical mission to Haiti at the end of the year, hopefully this will help me stand out from the crowd and get an interview! I will fly up and present resumes in person if need be. First, congrats on finishing up. I know it was a battle. Henry Ford is a pretty good hospital. I would recommend mid-surg then ER. It will be easier to get in. HFH is trying to become magnet do getting in with an ADN is very hard. DMC hospitals are also trying to be magnet. I heard from the ER manager personally who told me that she will not hire without a BSN. And this is with a personal connection. It will be hard to get in the major hospitals but it's. A challenge worth the fight. applesxoranges works as a ER. I think Henry Ford RN to BSN is through the college and I don't know if they are related besides the history of the Henry Ford company anymore. I worked in the ED at Henry Ford Main approximately 10 years ago. Very busy Level I Trauma ED with large volumes of patient visits for all types of ED presentations. You'll see trauma and ICU patients, to simple urgent care types and OB Gyn. There is a dedicated peds ED but really sick kids are transported to Children's right away. Inner city patient population with the occasional suburban type patients who appear scared and uneasy to be at the ED (lol). Great team of nurses who are very competent with lost of senior nurses who have been working there for years. Great physician-nurse work dynamics as well - practically everyone calls each other by their first name and that includes even some senior physicians. There is an ED residency program so you will work with residents a lot. The nurse manager was actually Canadian when I was there (the best manager I've had prior to my NP career). I'd say more than 30% of the nurses were Canadian but the overall racial make up of the nursing staff is quite diverse actually. akomismo has 5 years experience and works as a Nurse. Do HFH still hiring a new Grad nurse or Entry level nurse? thank you so much!! Henry Ford Health system still hires new graduates. I cannot speak to HF Main since I have transferred back to Wyandotte. When I worked at HF main we did have new grads in the ICU.